1. 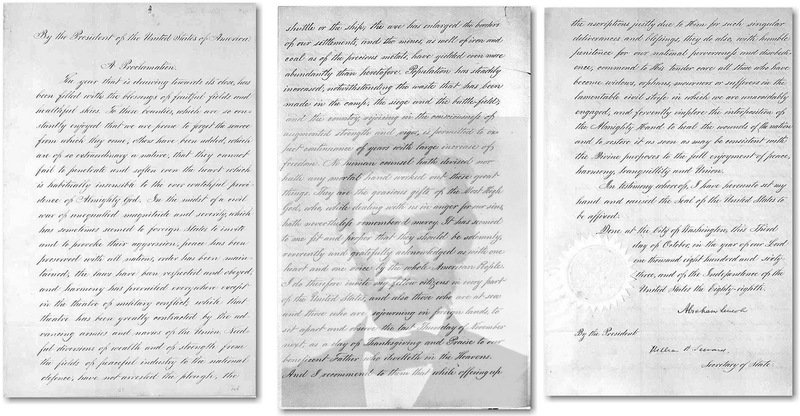 Can you image any President in our day writing such, calling the nation not only to give thanks but to penitence? 2. A blessed Thanksgiving to you and to your families and friends He has called you to serve! Elizabeth of Hungary, born in Pressburg, Hungary, in 1207, was the daughter of King Andrew II and his wife Gertrude. Given in an arranged political marriage, she became wife of Louis of Thuringia (Germany) at age 14. Her spirit of Christian generosity and charity pervaded the home she established for her husband and three children in the Wartburg Castle at Eisenach. Their abode was known for hospitality and family love. Elizabeth often supervised the care of the sick and needy, even giving up her bed to a leper at one time. Widowed at age 20, she arranged for her children’s well-being and entered into life as a nun in the Order of Saint Francis. Her self-denial led to failing health and an early death in 1231 at the age of 24. Remembered for her self-sacrificing ways, Elizabeth is commemorated through the many hospitals named for her around the world. 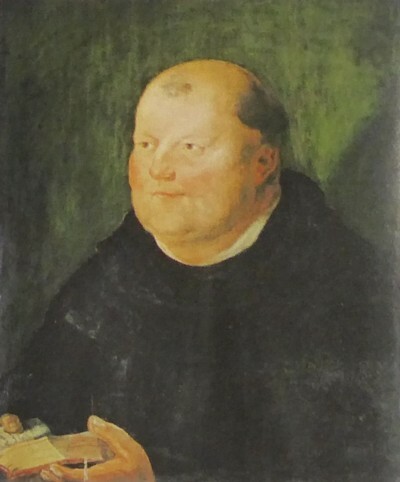 Post-Script: The Luther family’s home eventually became the very Augustinian monastery in Wittenberg in which he had been a monk. He and his wife Katie did not use it just for themselves by any stretch! There would be as many as 30-40 dinner and house guests at any given time: evangelical pastors fleeing persecution, university students, supporters and the like. So fulsome were the discussions that guests took notes which eventually become the good-sized volume, Tabletalks. One of the qualification of a bishop in the Bible is hospitality: “Therefore a bishop must be above reproach, the husband of one wife, sober-minded, self-controlled, respectable, hospitable…” (1 Timothy 3:2) Luther’s last sentence above reminds me of a Hasidic story: A rabbi was seen giving money to drunken destitute man and a congregant said, “Rabbi, why are you giving money to someone so worthless and who will not repay?” And the rabbi replied, “The Lord gave it me, didn’t He?” Fr. Martin had little sense of money and would give to those who asked for money. Unfortunately and sadly, upon his death, Katie did not have much. Martin and Katie must be remembered, as Elizabeth, as Christians who welcomed in hospitality the stranger. Our homes are not just for our families alone and contemplate this as we approach Thanksgiving Day. We sacrifice for others in service not to be saved but because we are saved. Mighty King, whose inheritance is not of this world, inspire in us the humility and benevolent charity of Elizabeth of Hungary. She scorned her bejeweled crown with thought of the thorned one her Savior donned for her sake and ours, that we, too, might live a life of sacrifice, pleasing in Your sight and worthy of the Name of Your Son, Christ Jesus, who with the Holy Spirit reigns with You forever in the everlasting kingdom. What Holy Baptism, dying and rising in Christ (Romans 6: 1) is most certainly NOT! 3. On November 10th, 1483 a miner and his wife gave birth to a son. Baptisms were done quickly due to infant mortality. The next day Hans and Margarette brought their son for Baptism, St. Martin’s Day. So they named him Martin, as was the custom, after the saint’s day he was baptized. The son baptized today was Martin Luther. What do these 3 commemorations have in common? These two Christian saints and veterans is all about being a soldier. We give thanks for those veterans who served in our armed forces. I have heard many a veteran say that I did my duty and I came home. War is hard, to say the least. Many veterans do not want to say what happened over there. They bore arms to defend our freedoms inscribed in the Constitution, the words of the charter of our political freedom Martin of Tours left one army and joining the militia Christ, the army of Christ for the salvation of souls. As bishop he did battle against the heresies of his day and served his people the green and eternal pasture of the Word of God. He fought against the powers and principalities: sin, death and the power of the devil. The man named after him, Luther, likewise did the same. Martin and Martin bore the weapons of the Spirit to defend the charter of our eternal salvation, one Lord, one faith, one birth. Martin and Martin did their duty, lived their callings. This day is united in thanksgiving for our freedom, political and spiritual. We are freed from tyranny of political and spiritual despots and so freed to serve our neighbor, our nation and church, as free citizens of both that any tyranny is defeated. Lord God of hosts, Your servant Martin the soldier embodied the spirit Of sacrifice. He became a bishop in Your Church to defend the catholic faith. Give us grace to follow in his steps so that when our Lord returns we may be clothed with the baptismal garment of righteousness and peace; through Jesus Christ, our Lord, who lives and reigns With You and the Holy Spirit, one God, now and forever. 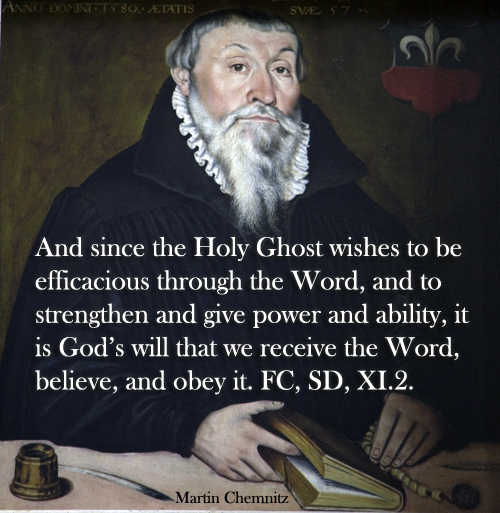 Staupitz was obviously Luther’s mentor and with that Luther’s friend and brother in Christ. This is a good commemoration to thank and remember mentors in our lives, who have been closer than a brother and a brother born for adversity and hung in there with you. All the Facebook friends in the world do not one dear brother in Christ Jesus make. Between Martin and Johannes stood Jesus Christ and the dear Father Johannes showed Martin Jesus Christ that Martin could see Him in the clear Word of Scripture. “Lord, keep us steadfast in Your Word”, penned and sang Luther. He probably knew he was kept steadfast by his dear father confessor as a mentor has so done for you.